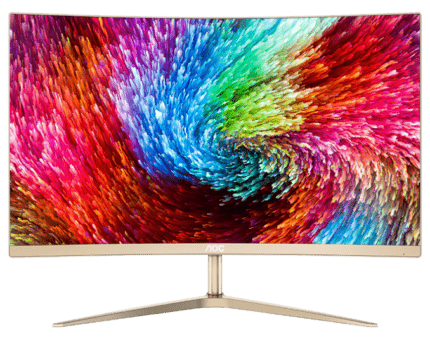 AOC has released a new curved monitor with a unique gold-yellow design, wide color gamut, and plenty of gaming features. Among other things, the AOC C2789FH8 features a high-contrast VA panel, AMD FreeSync, and ultra thin bezels for a quite affordable price. The AOC C2789FH8 display covers 90% of the NTSC color space which amounts to over 100% sRGB, though AOC hasn’t specified the exact sRGB color gamut. In addition to its VA panel with 3,000:1 static contrast ratio, the image quality is certain to provide a vibrant and crisp image with vivid colors. The VA panel also ensures the wide viewing angles of 178-degrees so there’s no color and contrast shift when the image is viewed from certain angles. In fast-paced gaming, the VA panel monitors are infamous for the prominent motion blur. 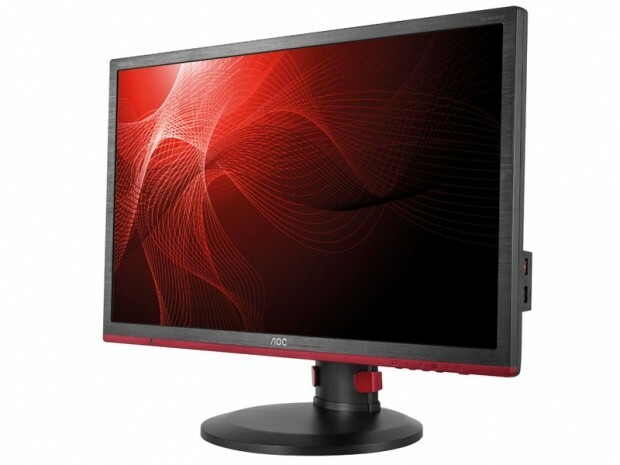 As the competitive gamers will, therefore, opt for the equally priced 144Hz gaming monitors, the AOC C2789FH8 FreeSync monitor is aimed at those who prefer better visuals and scenery to fast performance. Nevertheless, with 4ms (GtG) response time speed, you won’t encounter any eye-catching ghosting in casual gaming or everyday use. If you have a FreeSync compatible graphics card, you’ll be able to synchronize the AOC C2789FH8 refresh rate to your GPU’s frame rate. The synchronized, or dynamic, refresh rate will thus eliminate any screen tearing or stuttering you would encounter and provide you with a more stable FPS (Frames Per Second) rate. Note that you can use the AOC C2789FH8 with Nvidia cards as well, but you will not benefit from the dynamic refresh rate. Other game-enhancing features consist of pre-calibrated (FPS, RTS, Racing) picture presets as well as three customizable gaming profiles. Besides the standard adjustable parameters, the AOC Shadow Control feature can automatically adjust brightness to increase visibility in darker video games. 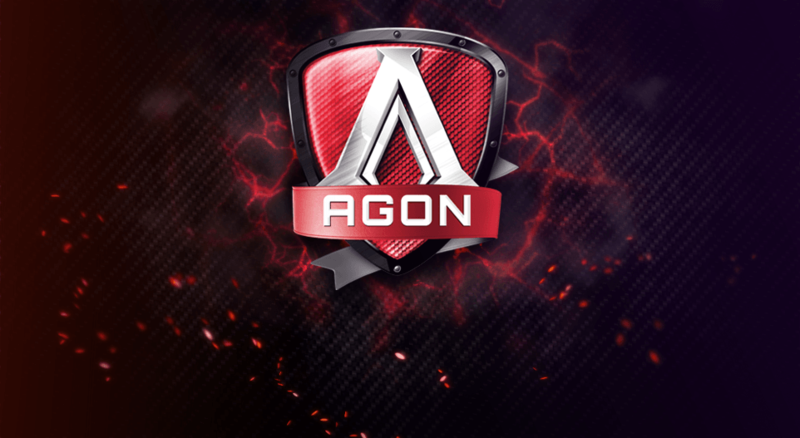 Additionally, the exclusive AOC ClearVision feature can upscale the SD content to HD quality. The golden-style appearance continues at back with the gold-white mosaic at the bottom. Besides the narrow bezels, the monitor is also only 7mm thin at the side while the 1800R curvature allows for full immersion into the on-screen content. 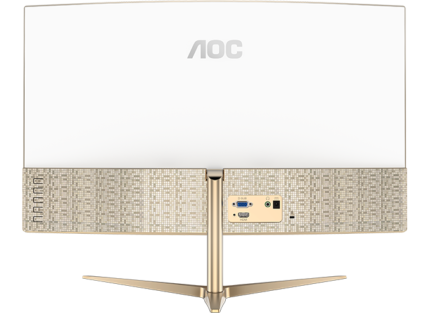 If you like the goldish design, you’ll be disappointed that the AOC C2789FH8 offer no ergonomics whatsoever. Connector ports consist of an HDMI, a VGA, and the headphones jack. The AOC C2789FH8 MSRP price amounts to $250 though it’s currently (September 2017) available for only $200 on Amazon. Given its numerous gaming features, ultra thin and curved design as well as the high-contrast and wide-color panel, it’s a great choice for gaming, work, or casual multi-monitor setups. However, I’d prefer I purely black or white version. For more gaming monitors, check out our gaming monitor buyer’s guide. For best office use monitors, you can go here. At this price, the AOC C2789FH8 is unmatched by any other monitor as it offers quite a unique set of specifications with a plethora of useful features. Though charmingly thin, its only downside is the unattractive (at least to me) appearance and lack of ergonomic support, but for the price – I may even be able to look past it.